Lead the charge to the Title. This is one of the largest glass mugs available. 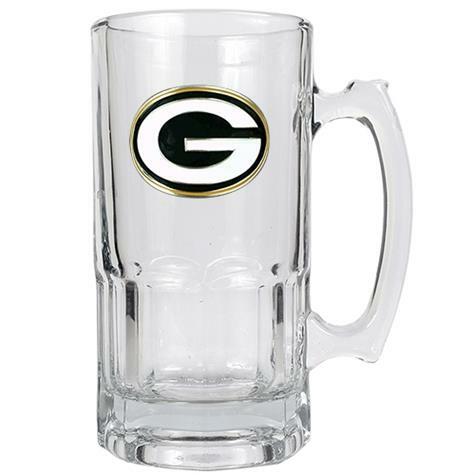 Drinking out of this 7” mug will certainly show off your Green Bay Packers pride in a big way. The Macho Mug is decorated with a high-quality metal team logo and is available in all NFL, MLB, NBA, and NHL® as well as most colleges.